COLUMBUS — A proposed state law that would ban mandatory overtime for Ohio nurses is generating a huge response following an exclusive 5 On Your Side investigation. The measure passing would mean that hospitals cannot require mandatory overtime as a condition of employment, termination solely because a nurse chose not to work overtime or taking disciplinary action or retaliation. The Ohio Nurses Association supports the legislation insisting that nurses should be free to decline overtime if their health or patient safety would be jeopardized. 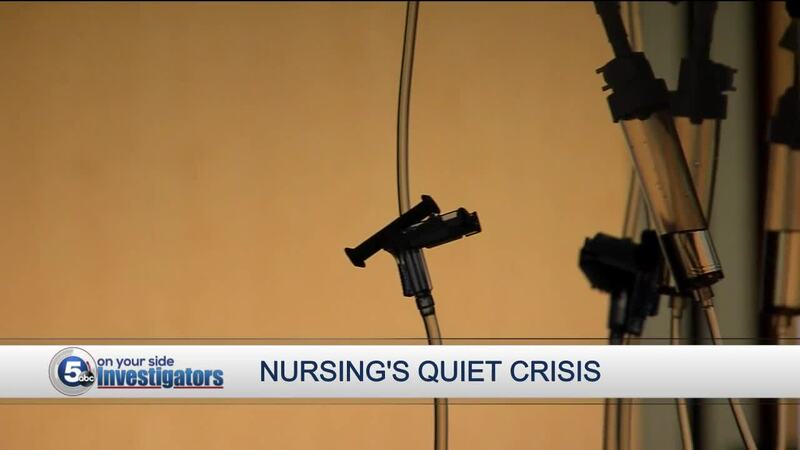 Our News 5 Cleveland Facebook page reflects comments that include family members dying from nursing mistakes caused by fatigue to nurses required to work despite serious illness. House Bill 144 is similar to a measure introduced last year that passed overwhelming in the House but failed to garner Senate approval.